This morning, the Supreme Court issued its landmark ruling on President Obama’s health care law. To try and be hip and keep up with today’s Web journalism, CNN decided to create a liveblog of the event, which included updates and tweets from its famous news anchors. 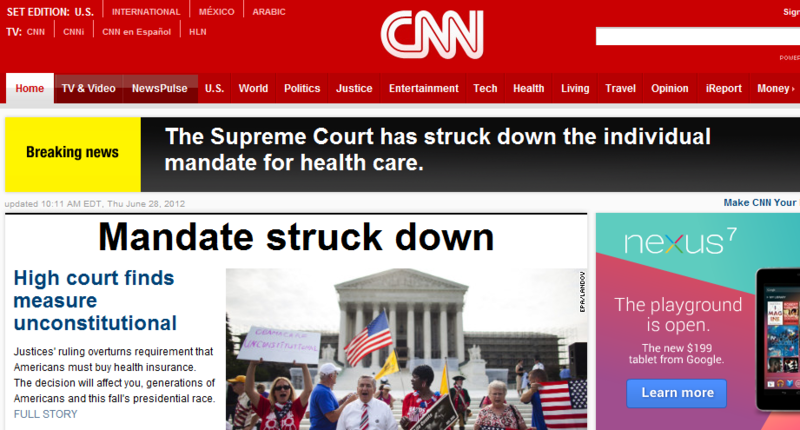 In its mad rush to be the first to do everything, the site posted the giant headline “Mandate struck down,” with another headline, “The Supreme Court has struck down the individual mandate for health care.” While very newspapery and sensationalist in its own right, it was also completely false. 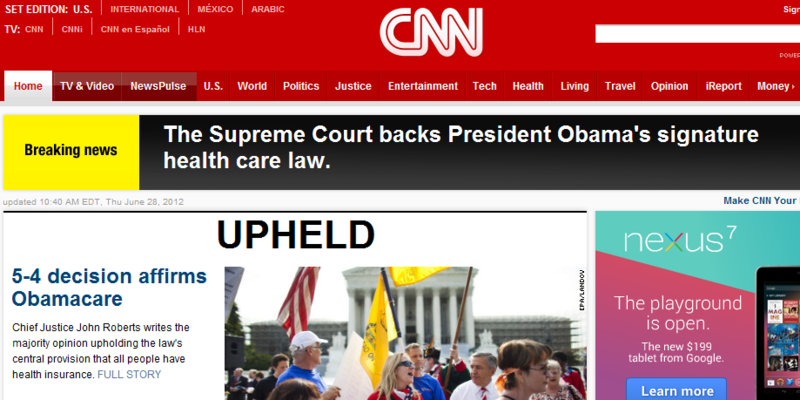 A few minutes later, it changed its headline to “UPHELD” the “Supreme Court backs President Obama’s signature health care law.” Seriously? The Supreme Court ruling was apparently a bit dense, as SCOTUSBlog points out, and the news organization failed to actually read it before posting snap judgments. I wish I could say this is uncommon, but it happens all the time with Web journalism, which has become more of a race than ever — a race for Google search engine hits that often comes down to minutes or seconds. We’ve succumbed to the Internet’s pressure before too, just as most news sites have, but this is what happens when you cut too many corners on on too large of an issue. The sad part is, CNN simply changed its story and doesn’t appear to have issued an apology or official notification of its monumental shift inside the blog story. Poynter has collected some tweets from CNN and others. A few of them have been deleted. 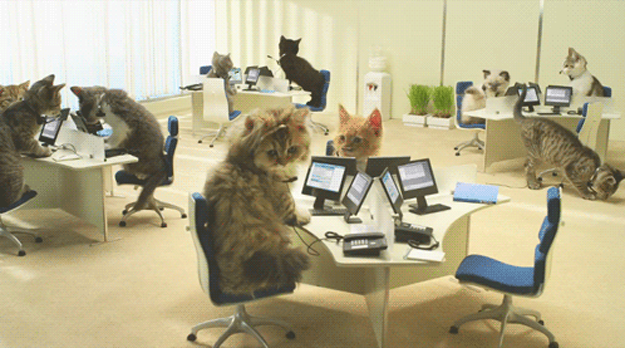 This is what happens when news comes out that is longer than a press release. Pretty sad?